Goal: Raise $30,000 to continue renovate the cemetery: build substantial fence around area, repair and set upright broken and fallen headstones, landscape and clean up cemetery area of overgrowth. The entrance gate has already been rebuilt through our efforts. Please help us call on other Yurburg descendants to contribute to this project. 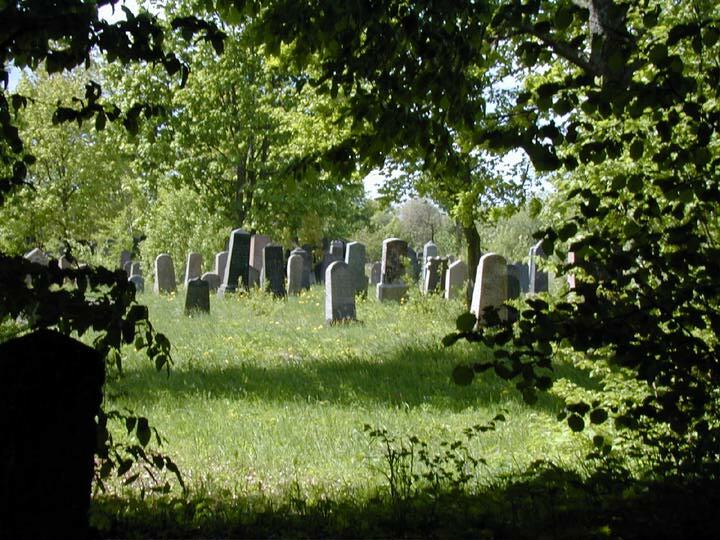 The cemetery was established in the 1700s, and served Yurburg and nearby towns: Shaudine, Sudarg, etc. When all the Jews of Yurburg were murdered in the summer of 1941, ironically the cemetery was not destroyed. 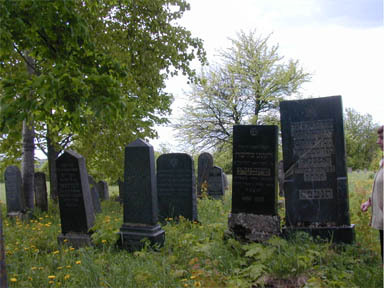 One of the mass murder sites of the Yurburg Jews is adjacent to the cemetery. 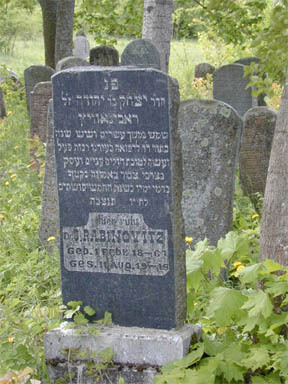 In 1993, Milton Blackstone of La Jolla, California traveled to Lithuania, and visited many Jewish cemeteries. 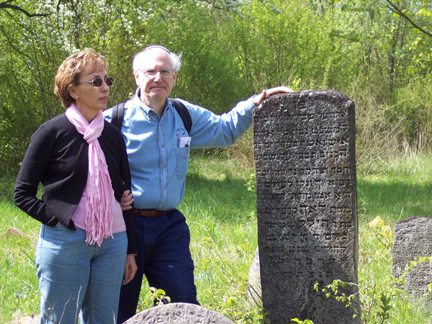 He wrote: "The Yurburg Jewish Cemetery is one of the best preserved in all of Lithuania." In May 2001, members of the Rosin, Naividel, Krelitz, Ellis, and Menzer families made a historic trip back to Yurburg, the town of their ancestors. On the trip they met two survivors of Yurburg, Zalman Kaplan and Duba Most Rosenberg. We funded new plaques for the Holocaust victims of Yurburg. 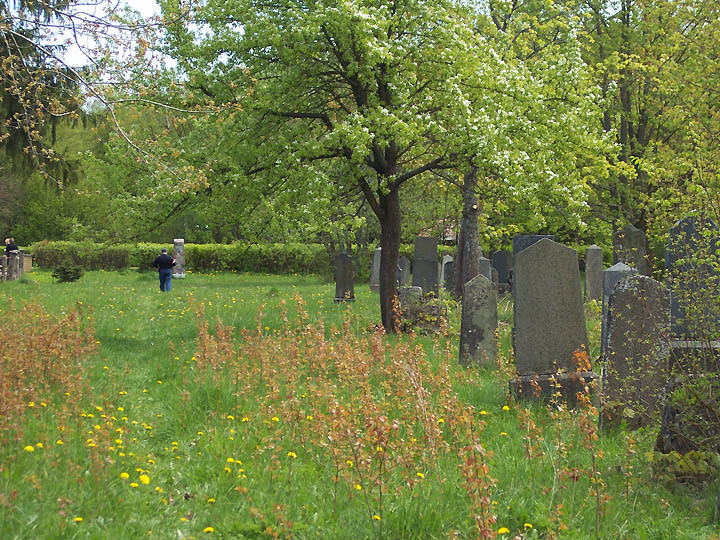 In 2004 Zalman Kaplan approached us with the idea of restoring the cemetery. We embraced the project and invite your participation, so that this treasure will not fall into disrepair and so that it can be preserved forever. 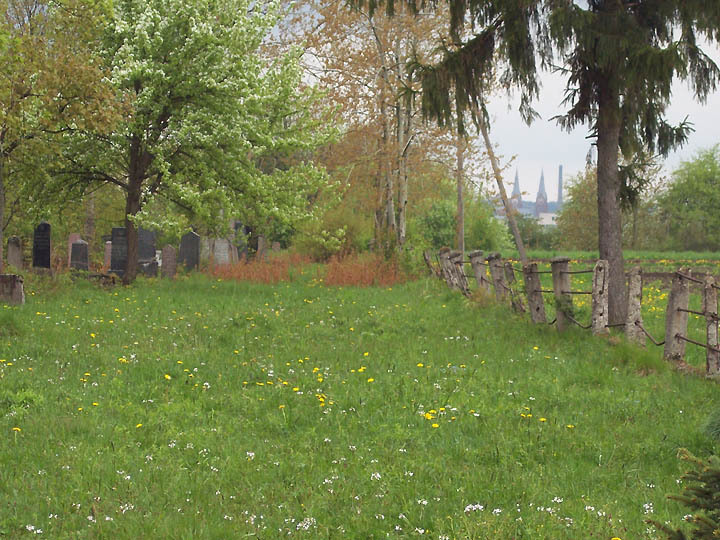 In May 2005, we met with the Yurburg (Jurbarkas) town council and came to an agreement to jointly restore the cemetery. 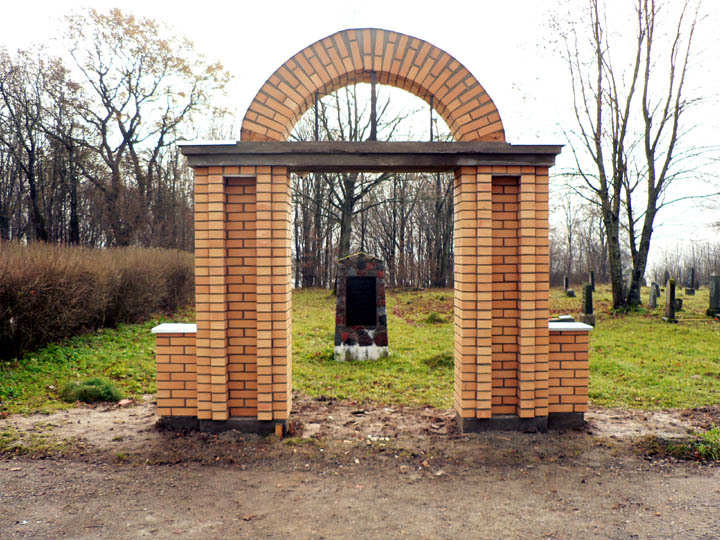 In fall 2006, we funded the reconstruction of the gate to the cemetery. Construction was managed by a committee of the Kaunas (Kovno) Jewish Community and completed in November 2006. 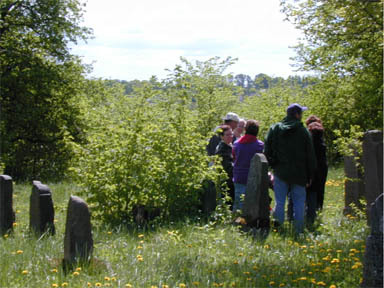 In October 2006, the cemetery was officially recognized by the United States Commission for the Preservation of America's Heritage Abroad as a site worthy of protection. 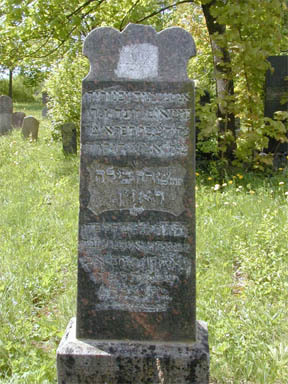 Headstone of Leah Naividel Krelitz (sister of Sarah Beylah Naividel Rosin), great grandmother of Esther Sherman Bejar and Joel Alpert, standing at the headstone. We don't have photos of headstones broken and lying on the ground, but there are many that need to be repaired and re-erected. Receipts will be sent for donations over $250 to satisfy US Tax requirements. 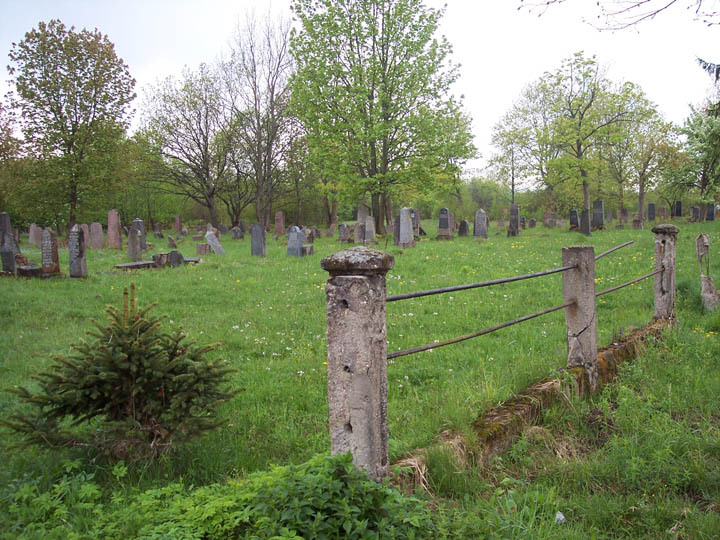 Friends of the Yurburg Jewish Cemetery Inc. This project is endorsed by the United States Commission for the Preservation of America's Heritage Abroad.